We, the undersigned, believe that industrial methods of food production constitute a very serious threat to the Polish people and the Polish countryside, and therefore we URGE the President and the Polish Government to respect the voice of the majority of their electorate and immediately implement the postulates of the BELWEDER DECLARATION: “The Charter of Real Farming and Real Food”. Immediately start implementing a conscious policy whose aim is the protection and promotion of true qualities of the Polish countryside which serve the Polish Nation, and which are currently being irrevocably devastated by rapid globalisation and development of industrial farming. Remove the restrictions concerning the possibility to buy a full range of products from local farmers by shops, schools, restaurants and other institutions. Support and develop a strategy whose aim is the preservation of a large number of farmers and the traditional mosaic of family farms, and the development of strong, local and regional outlets, including an immediate implementation of a long-standing protection programme, as well as financial, expertise and promotion support for small and medium family farms. Support eco-agrotourism, the processing of foods on farms and the use of renewable energy sources. 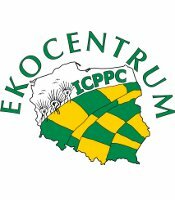 Take measures against air pollution (low emission from homesteads and farmhouses) in the Polish countryside. Implement an immediate ban on the sales, cultivation and production of GMOs, as well as an effective strategy for the production of GMO-free Polish animal feeds. Limit and completely withdraw industrial farming methods and make it possible for a long-term lease of land, currently in the hands of governmental agencies, to young, ambitious farmers who want to produce foods with the use of traditional and organic methods. Today, this will provide jobs form them and in future for their children, and will provide the Nation with good and healthy foods. Introduce organic faring methods into schools' and universities' curriculums as one of the main directions and not just an alternative to industrial methods of food production. We urge the President and the Polish Government to protect the unique geographical and historical strength of Poland based on traditional Polish countryside and create/draw a new vision of farming in order to prevent the imminent global catastrophe that threatens life and health of mankind and biodiversity. We urge the President and the Polish Government to stop promoting the current agricultural policy based on highly chemical, industrial farming that can lead hundreds of thousands farmers to bankruptcy, soils to degradation and the country to food catastrophe. We demand a fast answer concerning the implementation of the above postulates.